Nokia officially announce the Lumia 928 for Verizon Wireless! It's finally here, after weeks of ridiculous leaks which left very little to the imagination we can now confirm that the device above is the Nokia Lumia 928. A device destined for Verizon in the US complete with a very reasonable price tag too, but we'll come to that later! 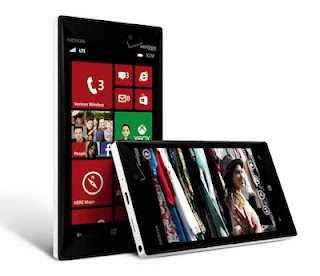 The phone is basically as we expected: it's a slimmed down version of the Lumia 920 which AT&T currently offer, with exactly the same internals and everything down to the battery capacity is the same. There's a dual-core Qualcomm Snapdragon process clocked at 1.5Ghz, 1GB of RAM and 32GB of internal storage. This time the camera, which is traditionally a strength of Nokia devices, is the same 8.7MP PureView Carl Ziess sensor which is in the Lumia 920, but the flash has been swapped out for a Xenon variant in this version. If you like taking 'selfies' then you have a 1.2MP camera on that side which gives you the ability to take 720p video for those Skype and Viber calls. The battery on this device is a 2,000 mAh unit, which should get you through the best part of a day without needing a recharge, but remember this battery is non-removable so treat it well. The wireless charging support is a nice addition too! The two big attractions outside of the camera though will be the 4.5″ WXGA, that's 1280 x 768p, and it's a lovely OLED screen too. This basically means super deep blacks and a very good pixel density of 334ppi, it's not as high as the 1080p Android devices, but it just betters Apple's Retina display on the iPhone, which is good enough for us! The screen has some nice tweaks which give you 300 nits of brightness in the normal mode, but you can crank that up to 500 nits if you activate 'High Brightness Mode' which should help you see the screen in the sun! Naturally it also supports Nokia's 'super-sensitive' features for typing with gloves and or long fingernails! On the connections front there's basically everything you would expect. There's Bluetooth 3.0, A-GPS and Glonass and there's an NFC chip. Naturally the device runs Windows Phone 8 as you would expect. If you're interested in the device then you can pick one up on Verizon in America from the 16th of May and it will cost you $99.99 with a $50 mail-in rebate, and if you get in quick you'll also pick up $25 of credit for Windows Phone apps. Check out Nokia's little hands on below if you want to see it in action! 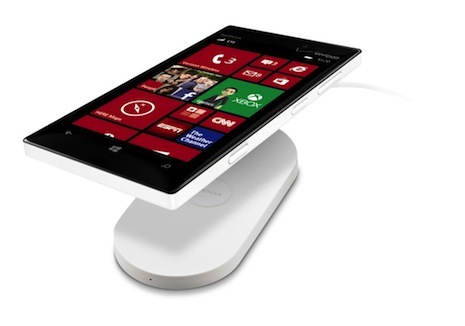 Via Windows Phone Blog, Nokia Conversations and Nokia Press.